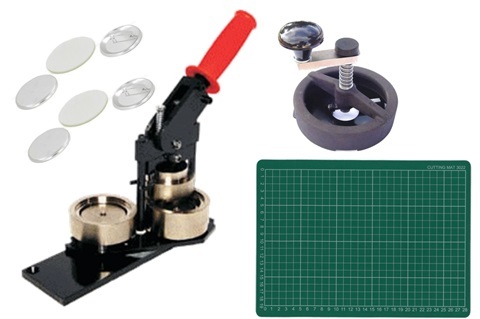 Badge Machines, Cutters, Cutting Mat and Badge Parts are available for rental on your special occasions like school / company events and birthday parties. Send us your requirements and we will be glad to provide you with our best quotes. Please confirm the rental at least a week before the event. Machines and parts can be arranged to be collected and returned at any of our 2 retail outlets.